Robert (Bob) Barton. Photo courtesy of The Hertz Corp.
Hertz Global Holdings Inc. has appointed Robert (Bob) Barton to senior vice president, global franchise operations. Barton is responsible for the company's worldwide franchise strategy and execution for the Hertz, Dollar, Thrifty, and Firefly brands. He reports to Jeff Foland, senior executive vice president and chief revenue officer, and to Michel Taride, group president, RAC International. "With his nearly 30 years of franchise leadership experience in the car rental market, Bob is the ideal choice to direct and further develop our global franchise operations,” said Foland. “Bob and his team will identify and implement additional expansion opportunities in targeted geographies as part of a disciplined global franchise growth strategy." 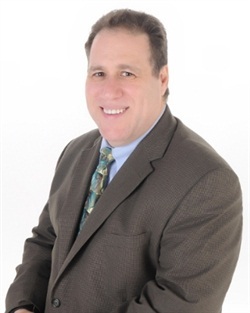 At Hertz, Bob previously served as vice president, Leisure Brands & Franchise Operations, RAC Americas. Prior to Hertz, Bob led rental car and franchise operations at Franchise Services of North America (FSNA), U-Save Auto Rental of America, Dollar Thrifty Auto Group, Budget Rent A Car, and Cruise America. He is also a past president of the American Car Rental Association (ACRA). "In this newly created position, Bob will play an essential role in enhancing our support and value to our global franchise community to the benefit of our customers, wherever they rent with Hertz and our other brands worldwide," said Taride.